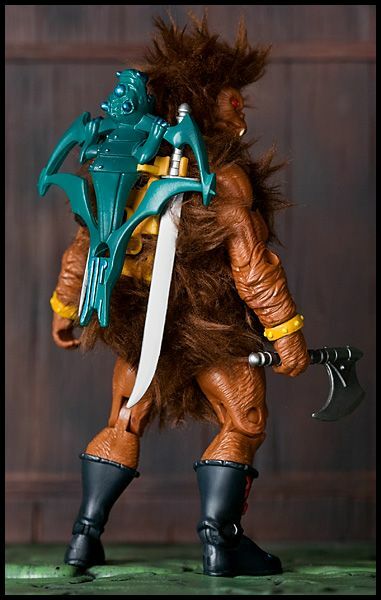 Originally a peaceful creature from the planet Jungulia, at the young age of 428 Gur’rull was kidnapped by the Horde Empire who erased his memories so he would serve loyally in their armies. 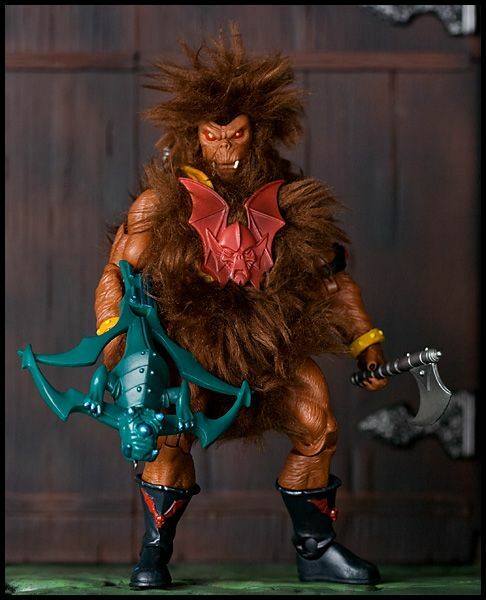 Renamed “Grizzlor” he traveled with Hec-Tor Kur to Eternia in search of He-Ro. 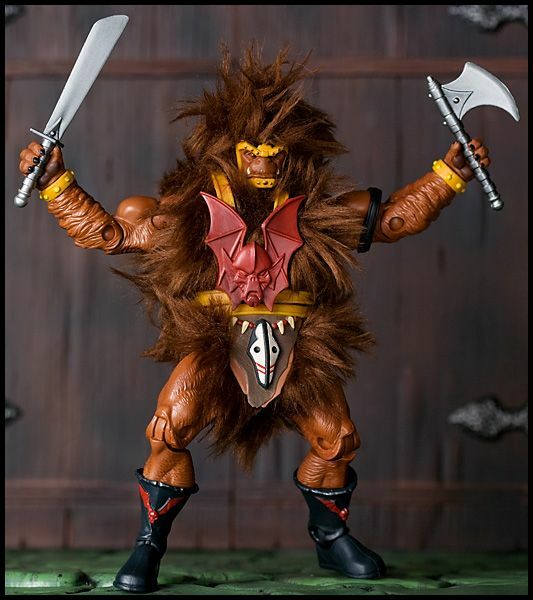 His ferocious attacks were so frightening that even after being banished to Despondos along with his master, Grizzlor’s legend lived on, becoming a myth told to young Eternian children. 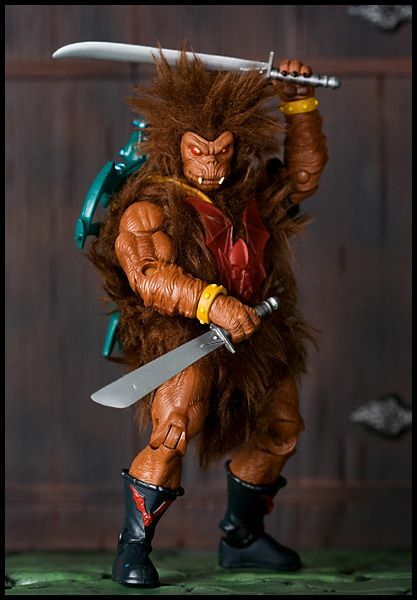 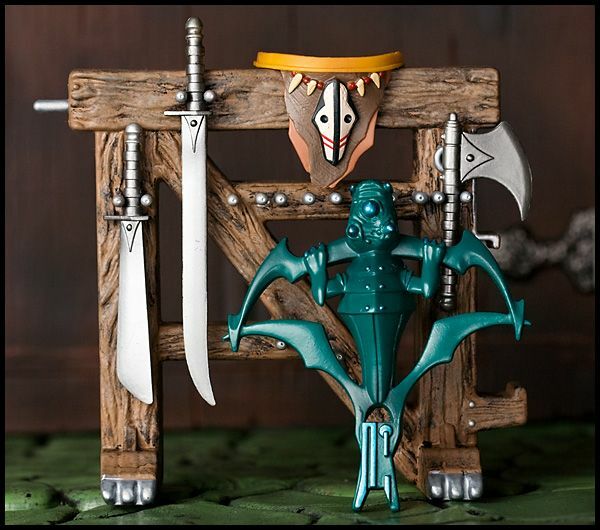 Prison Guard for the Horde, Grizzlor is ready to unleash his fierce claws to attack the forces of Eternia!